When I was in college, I was introduced to the wonder that is Chipotle Mexican Grill. I am not even kidding when I say there were days that I had it for lunch AND dinner. There have also been weeks where I have eaten it multiple days in a row. I actually really admire Chipotle as a company because of their stance on many aspects of the food industry - buying local, serving antibiotic/hormone-free meats, as well as their recent decision to label (and hopefully discontinue use) of GMOs. I know I have trouble being able to do any of this in my own household and I'm not trying to run a (successful) national business. 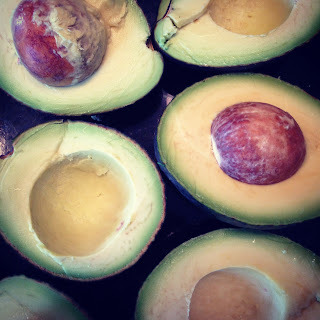 Perfect avocados ready to be mashed into my famous (top secret) guacamole. So, this is all pretty self explanatory and super easy to adapt to your tastes, but here's what a Chipotle bowl looks like in my world. 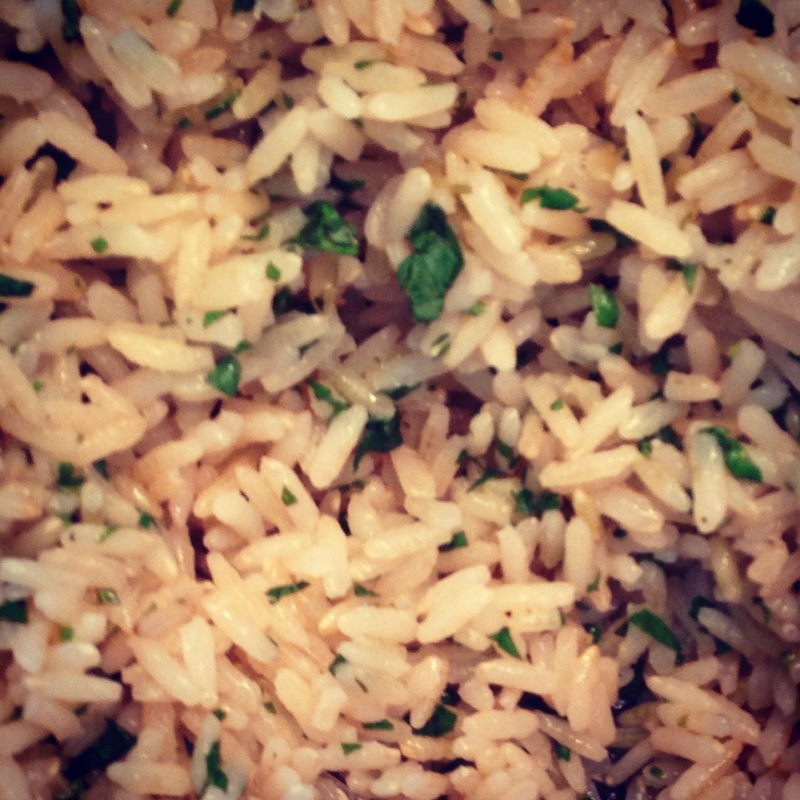 To start, I make some Cilantro Lime Brown Rice. 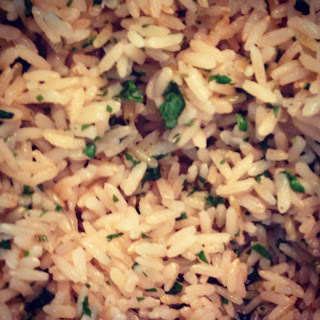 Basically, get yourself your favorite brand of rice, some fresh cilantro, some kosher salt, and the juice from one (very juicy) lime and you're good to go. 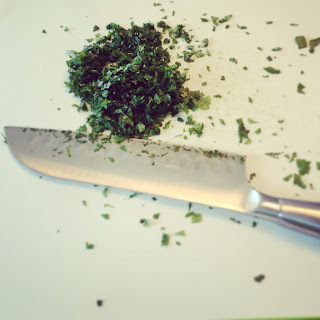 Freshly chopped cilantro - don't be afraid to get a few stems in there. They're good for you. 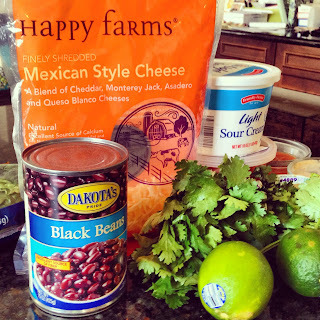 Here's a recipe if you want some more specifics, but I have found the best flavor comes from when I just throw it all in a bowl and toss it together sans measurements. The only rule here is that you use fresh ingredients (herbs and lime juice) and kosher salt. That's the only way you're going to match the flavor profile of the Chipotle stuff. This was a particularly successful batch. We like chicken for our bowls and you'll find lots of copycat recipes for Chipotle's chicken on the web. We tried one once and it burned our mouths off. So, instead we found a marinade at the store that we like. 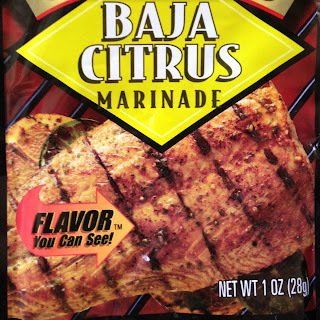 Yeah yeah yeah, making this from a package isn't the healthiest option, but this marinade tastes awesome in these bowls. So, eh. Deal with it. 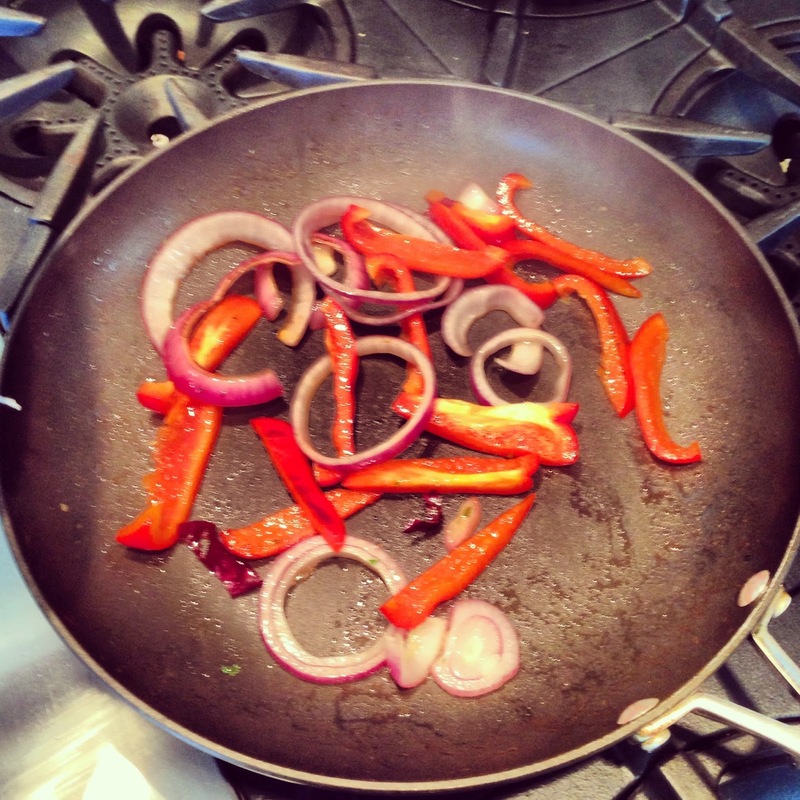 Or make your own marinade. 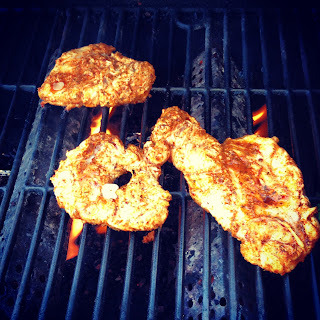 We cook the chicken on the grill (and by "we," I mean, "my husband) and slice it up after it has time to rest. I came out to give him moral support. And take pictures. The rest is super simple. Open up a can of black beans, pick up any sort of Mexican shredded cheese, chop up some nice crispy romaine, get a little sour cream and pico de gallo (we always buy ours fresh from a local produce market), and whip up a batch of your favorite guacamole. My husband even gets fancier and will grill up some fajita veggies for himself (I prefer mine without) and will get some spicy salsa to go over his bowl. 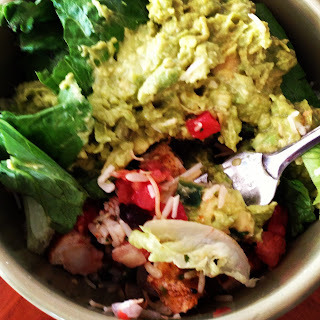 I failed to get a good "finished product" picture, but everyone's Chipotle bowl looks different, so whatev.